The vast majority of us are not appearing at Wembley Stadium any time soon. Leave that to the big boys. 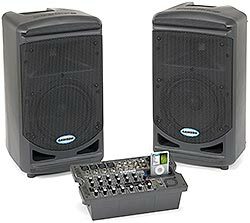 No, when it comes to PA systems for us mere mortals we're just looking for good, clean sound - loud and clear enough for our purpose, whilst being portable and practical. Something robust and reliable that we can stick in the car and go. 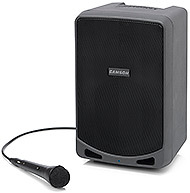 And know that when we get to the gig it will be easy-to-use and perform brilliantly. 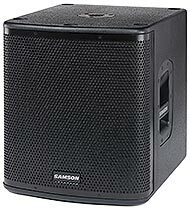 Cue the Samson Expedition Series of small, medium and large compact Portable PA Systems, plus their range of Rechargeable Single-Speaker PA Systems for smaller meetings and events. You would not believe how versatile they all are and how good they sound. 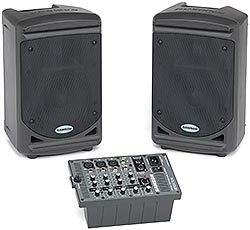 All these well thought out and cleverly designed systems are perfect for a range of applications, be they business or education presentations, a band or DJ performance at a bar or club, to deliver the beat for your exercise/aerobics class, or for music and announcements at an in or outdoor sporting event. We use our own Expedition system for parties, local events like pub quizzes, charity auctions, church events and so on. And we just love it. 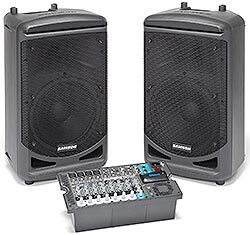 So if you need a really good Portable PA take a look at the three Expedition-Series systems below. 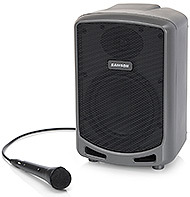 Or if your requirement is just for a simpler "speaker-on-a-stick" solution for small meetings and presentations then you'll love our Expedition Rechargeable Single-Speaker Systems, also below. Click on each of the models for all their details, and if you need some extra help, please give us a call. 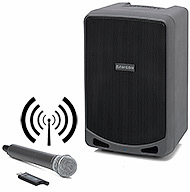 By clicking on this option you will be taken to our Expedition XP1000 page because the Auro D1200 Sub-Bass Speaker is designed to work best with this system.